Hi there, we were a little bit quiet recently but it doesn’t mean we did nothing. We are preparing for a pre-launch sale of Polish ciders in the UK. A lot of was done but still, there is some red tape we cannot just jump over. So fingers crossed, and we hope we will start next year. In the meantime, here is a short recap of what was happening in the Polish cider market during the autumn. The main idea of the competition is the promotion of wine and cider produced in Poland. Polish wines are successfully competing with foreign wines, delighting consumers with the richness of taste and aromas. Ciders are also gaining popularity, which, according to experts’ expectations, have a chance to become a Polish export commodity. In November, Poland was celebrating the 100th anniversary of regaining independence. For 123 years Poland was divided between three empires: Russia, Prussia (now Germany) and Austria. On the 11th of November, we commemorate the anniversary of the restoration of Poland’s sovereignty as the Second Polish Republic in 1918. One cider producer – Cydr Smykan – decided to celebrate it with new, limited edition of cider “Antoni Wisieńka” (in English “Anthony The Cherry”) – made of old apple variety Antonovka mixed with cherry juice. It was sold only on draught. 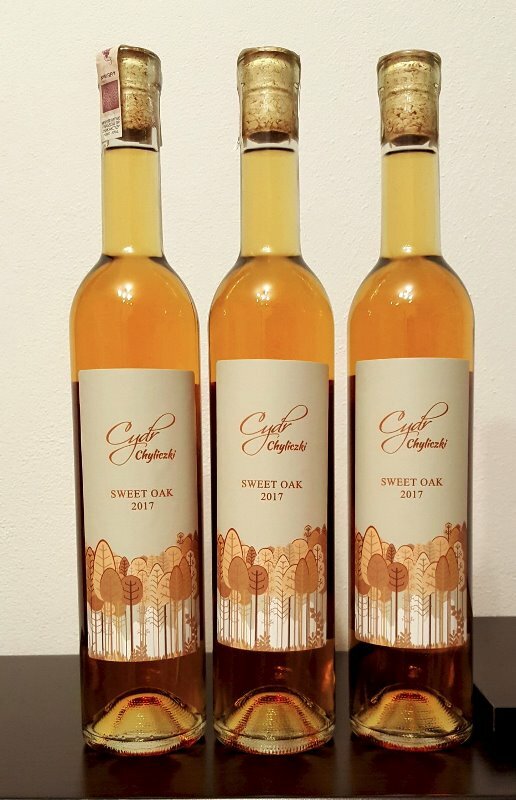 Cydr Chyliczki released again ice cider and ice perry made of fruits from 2017 crop. Their ciders are also limited editions and you can find them only in speciality stores or some restaurants. 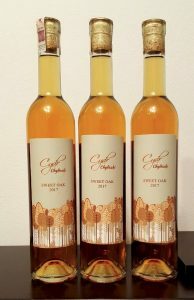 Moreover, Cydr Chyliczki decided to introduce ice cider aged in oak barrels! So if you are by any chance in Warsaw, ask for Cydr Lodowy or Lodowa Gruszka by Cydr Chyliczki. Hurry up! They are selling fast! To encourage you to buy, we can add that Cydr Chyliczki was awarded as a Culinary Innovator by Gault&Millau Poland, so it’s another reason to buy their ciders. We have also 2 new craft cider makers – at the seaside, there is Cydr Tabun from Otomin village. 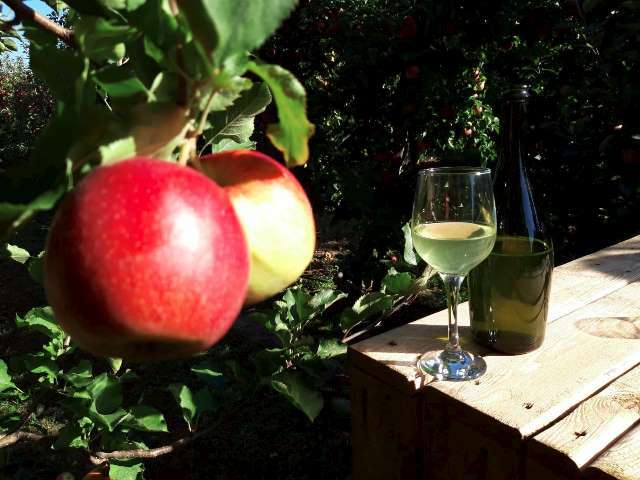 The owner of the restaurant Tabun decided to set up their own cidery. It took many months to deal with all paperwork and bureaucracy but they did it!!!! They held a launch party with food made mainly from apples. So you could try, just to mention a few, an apple and celery soup; pies stuffed with apple, bacon, onion; salad with apple, celery, roasted almonds and honey; rye bread with Kashubian lard and apple chutney or baked apples with goose liver and calvados. They just started fermenting their first ciders so we cannot wait to try some! We have another lady cider maker – Iwona (Ivonne). The others ladies are Dominika from Cydr Chyliczki and Dorota from Manufaktura Cydru). In October Iwona shared the great news that her cidery Cydrownia przy Sadzie (it means literally “A cidery next to orchard”) is ready and ciders are fermenting (Polish complicated law was the hardest bit, again!). In the meantime, she went to Normandy to gain some knowledge and try the best French ciders. The last, but not least – a new cider house was opened. “Papieroovka Cider Garden” is based at the seaside. It is a part of Hotel Sadova 4* resort but open to anyone, not only for hotel guests. They sell about 20 different ciders and made drinks with cider as a base. By the way, Papieroovka is the name of apple variety from Baltic area (in English known as White Transparent). As you can see, it was a very exciting and busy time for Polish ciders makers, and moreover, it was harvest time too!!! !